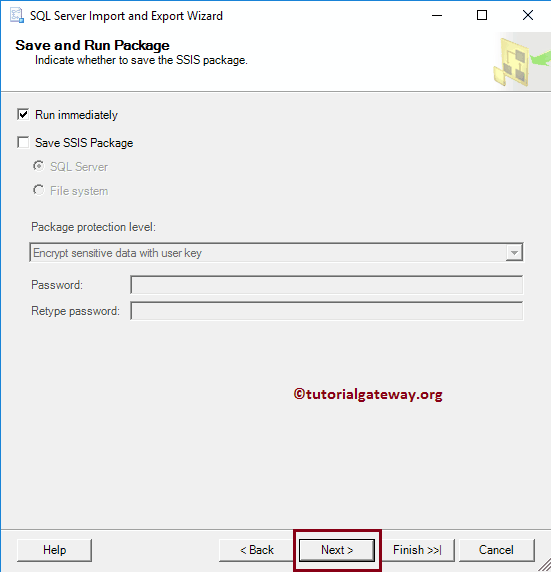 When there is a discussion about exporting data from SQL Server to CSV file, we immediately look for the SQL Server Integration Services. 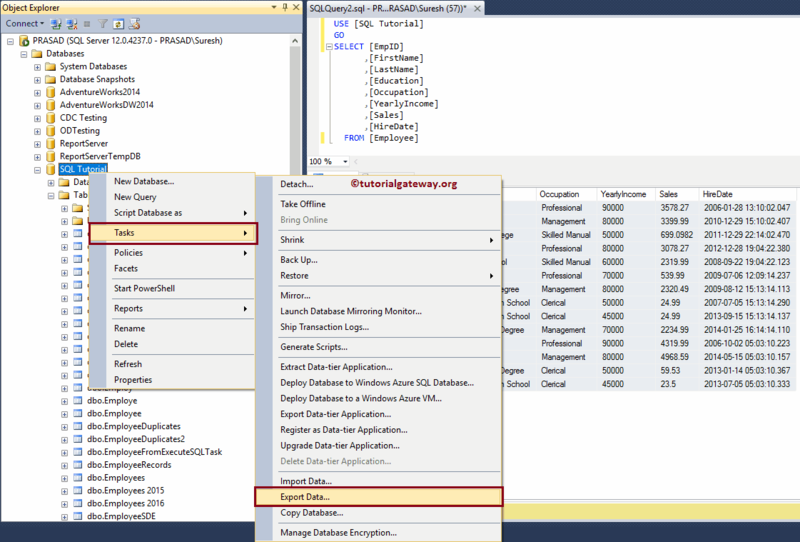 But, you can achieve the same result from the SQL Server Management Studio with ease. 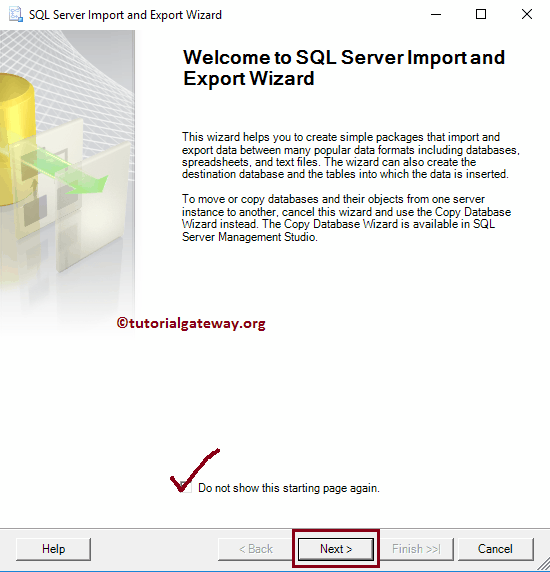 In this article we will show you multiple approaches to export data from SQL to CSV with practical example. For the first example, we are going to use below shown data. 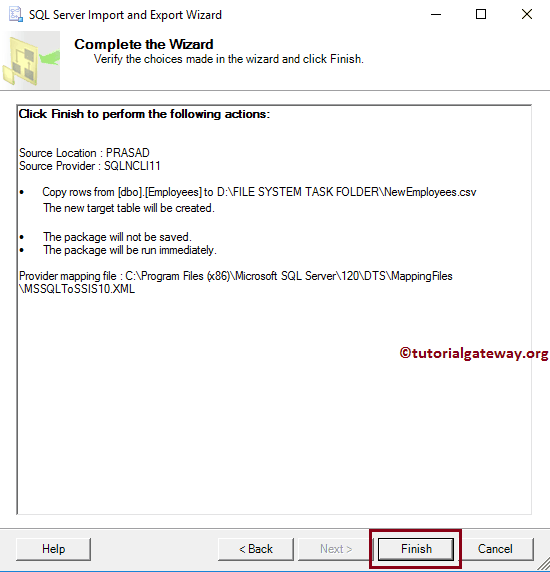 In this example, we are going to export Employees table data present in the SQL tutorial database to csv file (that we will create) in the local hard drive. 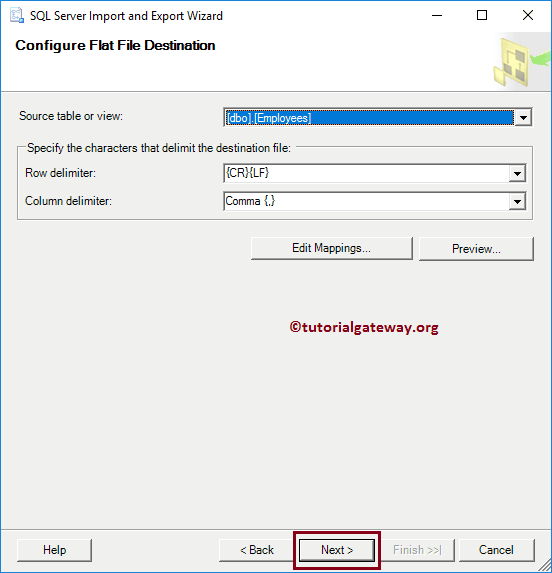 In order to so, please select all the columns either clicking the top left corner, or selecting Select All option from the context menu. After selecting all the columns, please go to the top left corner and right clicking there will open the context menu. 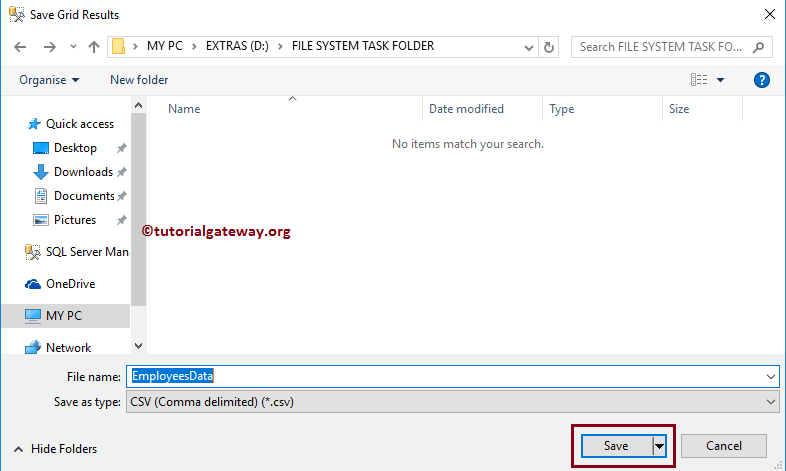 Please select the Save Result As.. from the context menu. 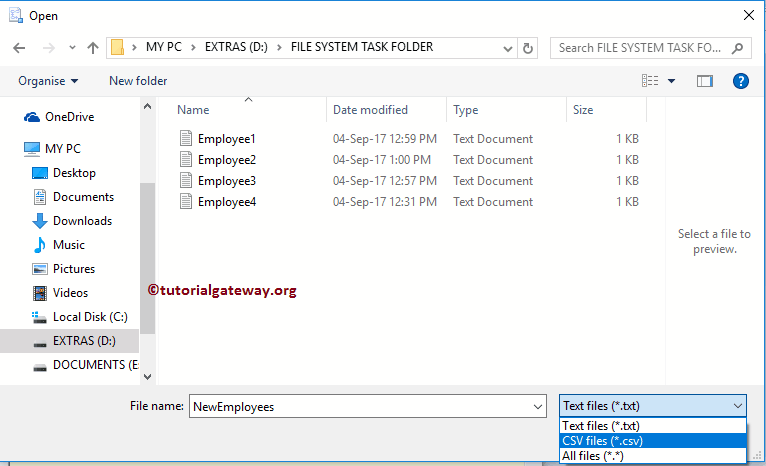 Let’s navigate to file system address that we provided, and check for the file name EmployeeData. 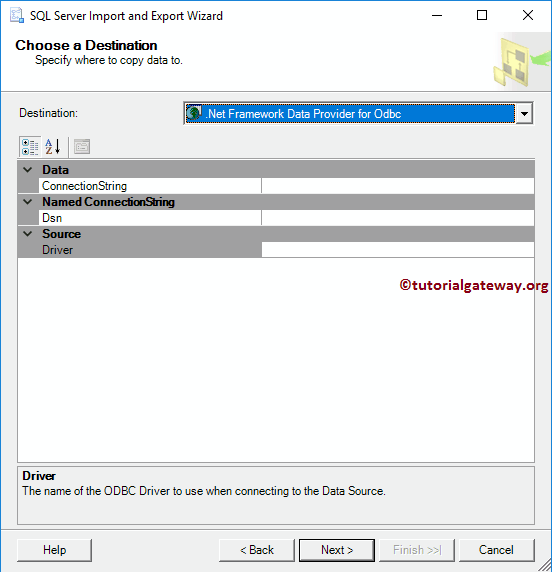 Within the Object Explorer, right-click on the database will open the context menu. 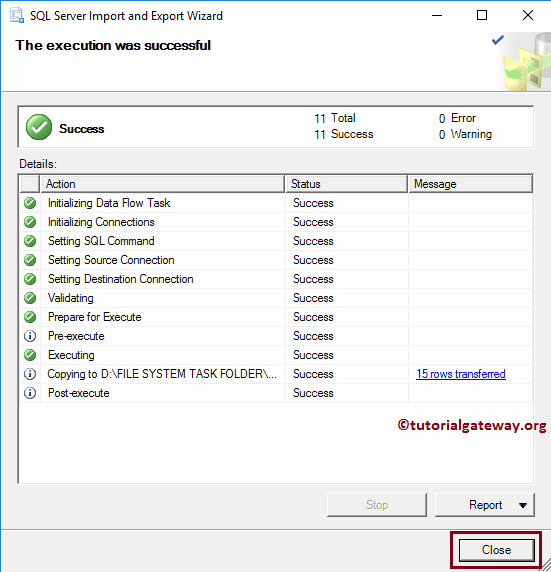 Please select the Tasks, and then Export Data.. option from the context menu as we shown below. 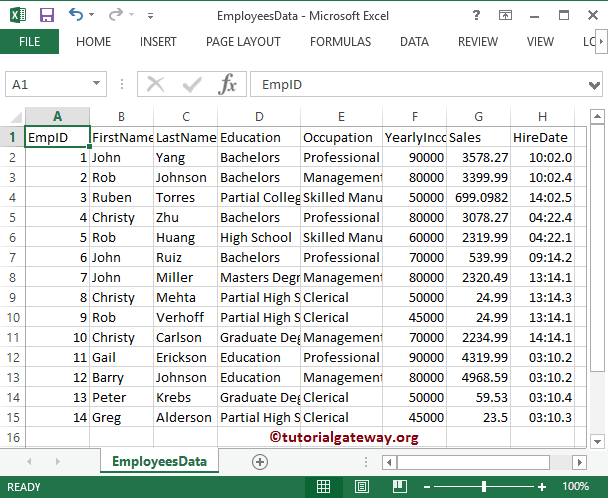 Choose a Data Source Page: This window is used to configure the source from which the data is coming. 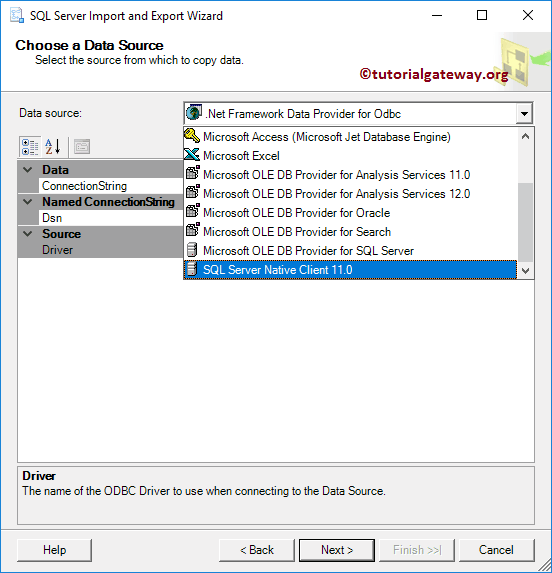 Our source is SQL Server database so we are selecting SQL Server Native Client as Data Source. 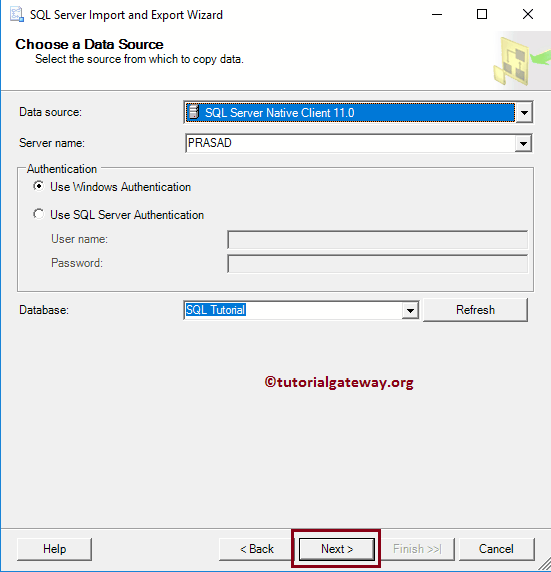 Next, we are using the Windows authentication to login to PRASAD server instance. Please use SQL Server Authentication in real-time. 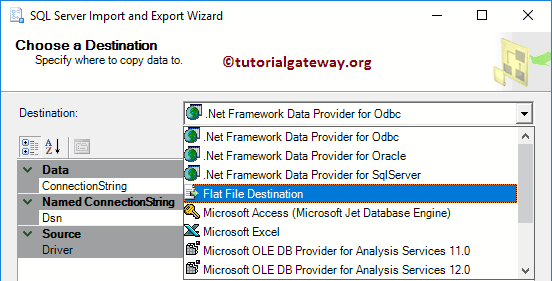 Choose a Destination: This window is used to configure the destination (to where we want to copy this data). 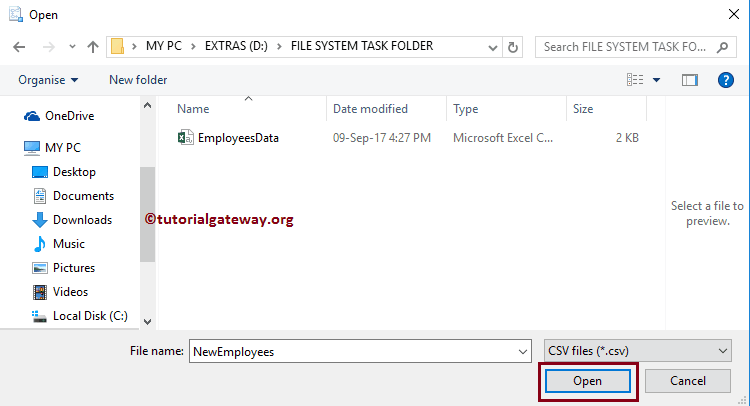 Click on the Open button to create a new csv file. 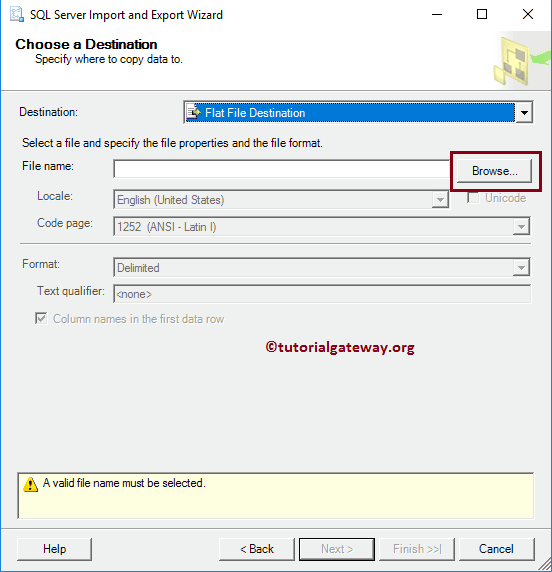 Next, Select the Format that you want to assign. 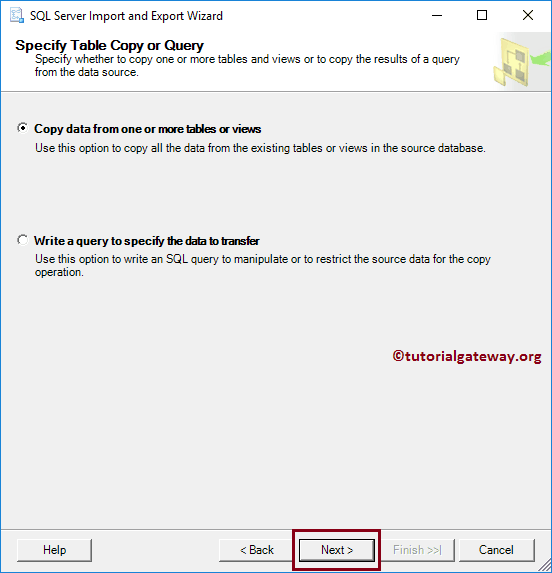 Write a query to specify file data to transfer options: In real-time we are going to use this option. 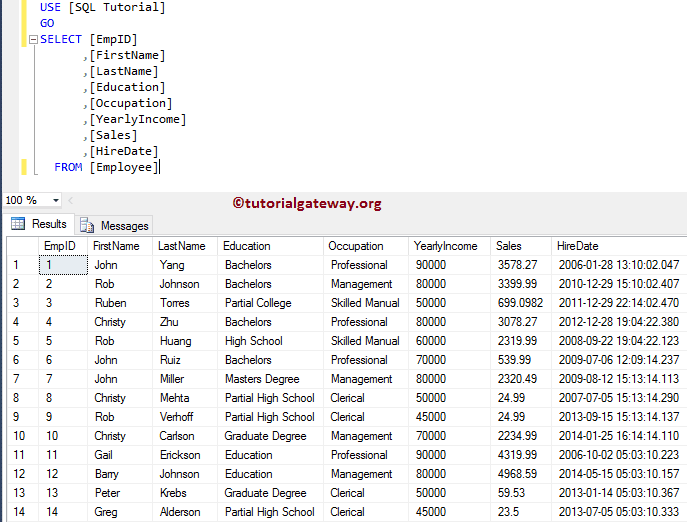 Because there will be unnecessary columns in every table so it is better to avoid them or selecting data with condition. 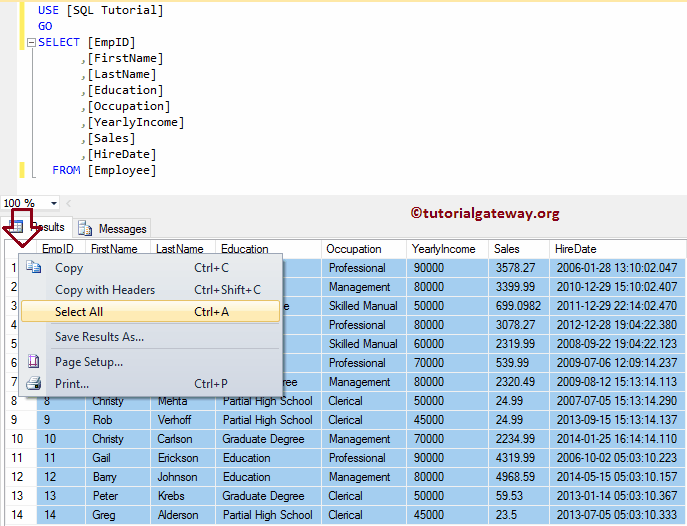 This window is used to select the source table from SQL database. Here we are selecting Employees table. From the below screenshot you can observe the status: Success and Message.